A microcosm of natural and cultural marvels, Sicilia is a dazzling blend of volcanic mountains, sunny beaches, and vibrant cuisine. The southernmost region in Italy, the island continues to entice travelers from near and far with its delicious and distinctive food and drink. 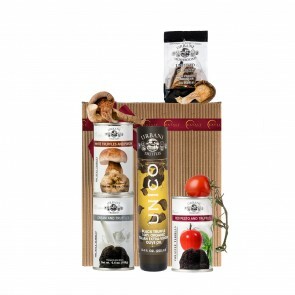 Offering an authentic taste of Sicilia, our gift box has the key regional ingredients featured in the classic seaside recipe for Bucatini al Tonno, or pasta with tuna. Spiced with chili peppers and brightened with capers, the seaside classic highlights the simple flavors of the island region. 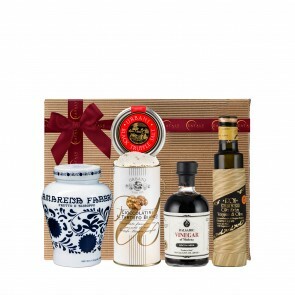 This gift box includes: Bucatini, Tuna Fillet in Olive Oil, Taggiasca Olives in Brine, Essenziale Red Pepper Oil, Primo Organic Olive Oil, "Salfiore Di Romagna" Sea Salt, and a signature Eataly gift box.